Though extremely rare in Colorado, a few tiny pockets of fireflies do exist. 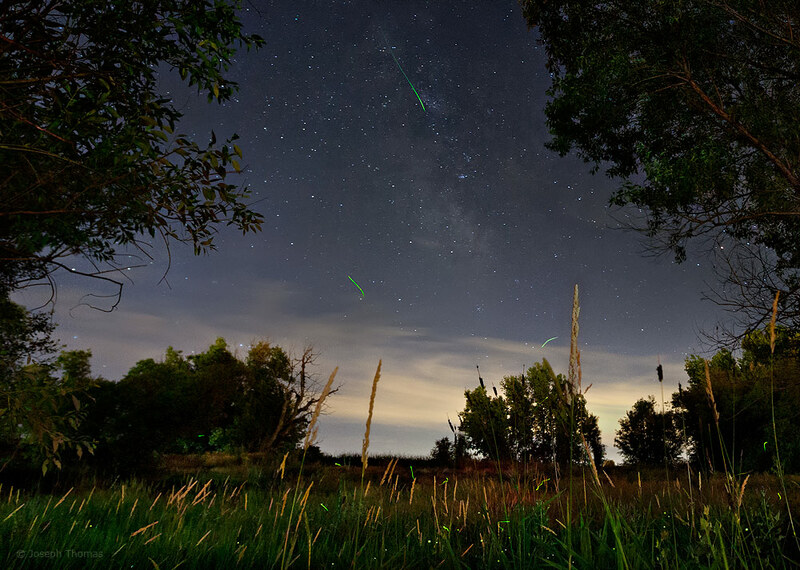 In 2015, due to an unusually wet spring, firefly populations experienced something of a boom here. While still not nearly as abundant as in the Eastern U.S., this was quite the light show for our relatively bioluminescent-free state. Thankfully, on this night there was one highflying lightning bug that flashed right through the heart of the Milky Way, adding the finishing touch to this photograph.